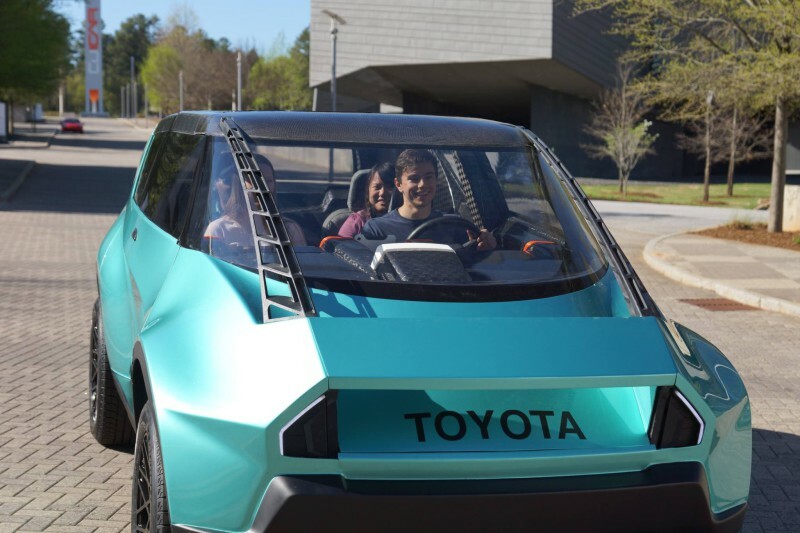 The Deep Orange 6, “a next-generation Toyota concept vehicle” developed and engineered by students from Clemson University, has been unveiled this week at the SAE International 2016 World Congress and Exhibition in Detroit, MI. By using TeXtreme® carbon fabrics in its door panels, rear hatch, dashboard, and bumpers and cladding, significant weight savings, improved mechanical performance and superior surface smoothness was achieved. Car designers face many challenges when working on new designs and are always searching for new ways to make future designs faster and stronger, while still achieving better emissions performance. Therefore, composites have never been more relevant to today’s automotive industry. Automakers see the advantages of carbon fiber and how it can reduce the weight of conventional vehicles. s proprietary production methods which create an ultralight and ultrathin spread tow carbon fiber reinforcement. Its track record of contributing to successful product releases from companies including Bauer Hockey, Prince Tennis, Cobra Puma Golf, and Bell Helmets, along with its use in Formula 1, NASCAR and the ORACLE TEAM USA America’s Cup boat, has proven the real-world benefits of the TeXtreme® Technology. Deep Orange 6 is about creating a value proposition for a young generation that has little money to spare, that have less interest in vehicle ownership than past generations, need a personal mobility solution for commuting and shopping at low cost of ownership, and also have the desire for extra space, range and performance for leisure activities. The anticipated market introduction is 2020 and the brand of the vehicle will be Toyota. “The Clemson team has been very good at utilizing the unique benefits of TeXtreme® and designing the composite parts balancing the mechanical properties and weight savings to get the optimal results on the car. We are proud to support this project and the development of composites in mass-market applications”, says Henrik Blycker, CEO of Oxeon AB, makers of TeXtreme®.